Basil A. Desiderio, "Buzz", 91, of Larksville passed away Monday, Dec. 24, 2012. Born June 13, 1921 in Wilkes-Barre, he was the son of the late Marie Annicchiarico and Marziano Desiderio. He was a loving husband to his wife of 64 years, Isabelle, supportive father, proud grandfather, gentle great-grandfather, loyal friend and honest businessman. Basil was president of Desiderio Construction Inc. He was a past president of the Northeast Masonry Contractors Association, and former chairman of the Larksville Zoning and Planning Commission. He was a gold card member of International Union of Bricklayers and Allied Craftworkers Local 5, and former director of Joint Contractors-Bricklayers Health and Welfare Trust Fund. He was educated at Elmer L. Meyers High School. Buzz continued his education at the Scranton Technical Institute; to prepare him to ultimately take over operations of the family owned masonry contracting business, Desiderio Construction. A veteran of World War II, he was a sergeant with the 672nd Medical Collection Company, assigned to the 5th Army, 1st Armored Division. He saw action in the African and Italian Campaigns in the European Theater of Operations. 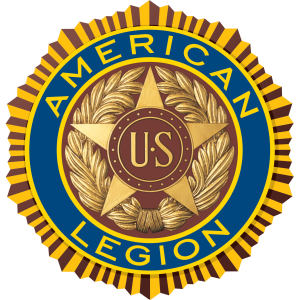 He was a member of the American Legion, Disabled American Veterans, Veterans of Foreign Wars, Italian American Veterans and Catholic War Veterans. Basil was an active member of the former St. Casimir's Church, the Holy Name Society, Ushers Club, Building and Ground Committees, Hanover Township. He was a member of the Scranton Diocesan Synod II. Buzz enjoyed a long and successful career as a Knight of Columbus. He joined Plymouth Council 984 in 1961. His leadership ability was quickly recognized and he rose through the chairs to the position of Grand Knight in 1968. In 1970, he was appointed to the office of years. In 1978 he was elected state treasurer. In 1980 he was appointed membership district deputy and was elected chairman of the board of Northeast District Deputies in 1973. In 1974, he was appointed state program director, a position that he held for two years. He was chairman for the Northeast and was responsible for the institution of Lake Silkworth Council. In 1982, Desiderio was elected to the highest elective office in the jurisdiction of Pennsylvania, the office of state deputy, leading more than 62,000 members until 1984. Desiderio was an active member of the Bishop William J. Hafey Assembly 925, Wilkes-Barre; serving in virtually every office including faithful navigator from 1975 to 1977. In 1980, he was appointed master of the Fourth Pennsylvania District of the Calvert Province, fourth degree, a position he held until 1982. In 1984, he was elected to the Supreme Board of Directors of the Knights of Columbus; the largest fraternal insurance company in the world. This position he held until 1987. Once again in 1987, the Knights came calling when Desiderio was appointed vice supreme master of the Calvert Province of the Fourth Degree; the area included Pennsylvania, Maryland, Delaware, Washington D.C. and Virginia. This position he held until 1991. The positions of grand knight, faithful navigator, district deputy, state deputy, master, vice supreme master, and supreme director are all offices that have a distinct Jewel, that a member is entitled to wear. Desiderio is the only member in the entire membership of more than 1.6 million men that has earned that distinction. Buzz is survived by his wife, the former Isabelle Uravich; daughter, Donna Mayer, Cape May, N.J.; sons, Charles (Beth) Desiderio, and Basil Jr.; niece, Edith Prescavage; nephew, Robert Wicht; and grandchildren, Jonathan (Tara) Desiderio, Andrew (Katie) Desiderio, Charles (Lauren) Desiderio, Tessa Desiderio, David Daley, Christopher Mayer; and great-grandchildren, Isabella, Jaxon and Lilly Desiderio; sisters, Florence (Mem) McCue, Michaelene Baranski, Rita Rovinski, Josephine Ostaszewski; and brother, Martin Desiderio; and numerous nieces and nephews. Preceding him in death were an infant son; sisters, Sadie DeGuisto, Mariette DiNicola, Nancy Walker; brothers, Nicholas, James, and Anthony Desiderio. A Mass of Christian Burial will be held from All Saints Roman Catholic Church, Willow Street, Plymouth at 10:30 a.m. Monday. All those wishing to attend the funeral are asked to go directly to the church. Relatives and friends are invited to join his family for visitation from 4 to 8 p.m. Sunday at Desiderio Funeral Home Inc., 679 Carey Ave., Hanover Township. A prayer service will be held at 4:30 p.m. Sunday by the Italian Amercian Vetrans Post 1, Wilkes-Barre.